In recent years France has made numerous efforts to strengthen anti-corruption enforcement. In addition to a significant increase in the number of prosecutions of corporations for corruption offences, December 2016 saw the entry into force of the Sapin II Law (named after the Law's main proponent, French Minister of Finance Michel Sapin), which aims to align French anti-corruption law with aspects of US and UK corruption enforcement practice. The Law comes as a response to the criticisms made in October 2014 by the Organisation for Economic Co-operation and Development (OECD) Working Group on Corruption, which considered France's timid efforts to combat corruption to have fallen short of the OECD Convention on Combating Bribery of Foreign Public Officials in International Business Transactions (the OECD Anti-Bribery Convention). More recently, the French Parliament passed the Bill on Confidence in Democratic Life, which aims to promote transparency and ethics in French politics, and prevent conflicts of interest among members of Parliament. Both active and passive corruption of domestic officials are criminal offences under French law.2 Corruption is defined as the act of either soliciting or agreeing to a bribe to induce a public official to act or refrain from acting in relation to the performance of the duties of his or her position, function or mandate. The offence is committed by the act of soliciting or agreeing to a bribe regardless of whether the bribe is actually paid. Neither is it relevant to the commission of the offence whether the public official actually performs the requested act. The offering of or agreeing to the bribe can be direct or indirect, which means that corruption can be committed through intermediaries such as agents, consulting firms, distributors or a subsidiary. In such cases, both the person commissioning the bribe and the intermediary will be held liable for corruption, either jointly responsible or as accomplices. The public official need not be the person who enjoys the advantage given to induce his or her behaviour. The scope of the offence covers all cases in which the public official receives an advantage or benefit for a third party. There is no requirement for a particular type of connection between the public official and a third-party beneficiary. For instance, agreeing to confer a benefit on a political party falls within the scope of the offence. French law also makes it a criminal offence to solicit or agree to a bribe to abuse influence with the view to granting the obtainment of distinctions, employment, contracts or any other favourable decision from a public authority or the government.3 This offence is referred to as 'influence peddling'. Under Article 432-11 and Article 433-1 of the French Criminal Code, a 'public official' is defined as 'any representative of a public authority or any person exercising a public function or holding an elected office'. The phrase 'any person exercising a public function' encompasses any person who has been entrusted with a public function independently of any public body. This means that where the state delegates an activity of public interest to a state-owned or state-controlled company, employees of the company fall within the scope of the definition of public officials (e.g., employees of a state-owned public railway company). 'Persons holding an elected office' refers to any person who was elected to a public office, including members of Parliament and local elected representatives. The anti-corruption provisions mention any 'offers, promises, donations, gifts or any other advantage'; the French Court of Cassation has given a broad interpretation of this phrase when interpreting the offence of corruption of public officials, taking the view, for instance, that offering meals once or twice a month to a public official amounted to corruption.5 Consequently, any type of gifts or gratuities that may have value could potentially fall within the scope of the anti-corruption provisions, including travel, meals and entertainment. Gifts and gratuities will incur criminal liability if the advantage is 'undue' (i.e., when it is not authorised by any laws or case law). There are no statutory provisions restricting gifts, travel, meals or entertainment to public officials. Gifts and gratuities are generally governed by codes of ethics. While the Code of Ethics of the French National Assembly and the Code of Ethics of the Senate do not prohibit gifts and gratuities, members of Parliament are required to report any gift, donations, travel, meals and invitations when the value of each exceeds €150. On 20 April 2016, Law No. 2016-483 was enacted on the ethics, rights and obligations of civil servants, imposing a duty on civil servants to avoid conflicts of interest. Under this Law, civil servants must disclose any potential conflicts of interest to their managers and abstain from taking part in acts falling within the scope of their function that could give rise to a conflict of interest.6 The Law does not contain any specific provisions regarding gifts and gratuities. Persons holding an elected office are allowed to participate in commercial activities insofar as they do not give rise to a conflict of interest. Members of Parliament are therefore not allowed to hold managerial functions in a state-owned or state-controlled company. Neither are they allowed to hold managerial functions in a company that receives public subsidies from a public administration. While lawyers who hold an elected office may continue practising, they cannot act as counsel in a case involving a public entity. Passive and active private commercial bribery are also offences under French law.8 The constituent elements of commercial bribery are the same as for corruption of public officials except where it concerns anyone who is not a public official (managers, employees, independent agents). The bribe must be solicited or agreed to with a view to carrying out or abstaining from carrying out any act within the scope of the duties of the person's position or facilitated by his or her position, in violation of his or her legal, contractual and professional obligations. Under French law, corporations may incur criminal liability for acts of corruption committed by management bodies (i.e., boards of directors), legal representatives (i.e., senior managers such as directors and CEOs) or employees given a specific power to represent the company, whenever they are acting on its behalf, even if they are breaching corporate policy. a fine up to €5 million, which can be increased up to 10 times the value of the assets to which the offence relates for legal entities. a fine of up to €2.5 million, which can be increased up to 10 times the value of the assets to which the offence relates for legal entities. According to the 2017 report published by the French Anti-Corruption Agency (AFA), in 2016, 758 investigations were initiated in France regarding corruption and related offences. In 2016, 253 convictions were rendered by French courts in cases on corruption and related offences. Of those convictions, 67 per cent resulted in a prison sentence, of which 78 per cent were suspended sentences. In 2016, 70 confiscation measures were ordered by French courts. Following the entry into force of the Sapin II Law, the public prosecutor's office and companies can now enter into a settlement similar to a 'deferred prosecution agreement' in cases of corruption and related offences. This settlement mechanism, known as a 'judicial public-interest agreement' (CJIP),11 was used for the first time in a domestic bribery case in February and May 2018. Three companies agreed to pay fines of €800,000, €2.71 million and €420,000 respectively and to implement anti-corruption programmes under the supervision of the AFA, the regulatory supervisory body created under the Sapin II Law to supervise the implementation of compliance programmes within French companies. the advantage given to the foreign public official must be undue, although in the case of corruption of foreign public officials the question of whether the benefit is undue is a matter for the law of the victim state to determine. While official Commentary 9 to the OECD Anti-Bribery Convention opens to state parties the possibility of excluding small facilitation payments from the scope of the offence, French law prohibits any type of facilitation payment. Foreign companies can be prosecuted in France when at least one of the constituent elements of the offence took place in France. This means that foreign companies can be prosecuted whenever the bribe was offered or accepted in France or when the bribe was paid in a bank account opened in France. French authorities make a broad interpretation of these criteria and generally consider the transfer of funds via a French bank account sufficient to establish jurisdiction. a fine of up to €5 million, which can be increased up to 10 times the value of the assets to which the offence relates for legal entities. Financial records are subject to a vast array of laws and regulations, which can be summed up as a mandatory truthfulness of records, but none of these rules are expressly related to anti-corruption. 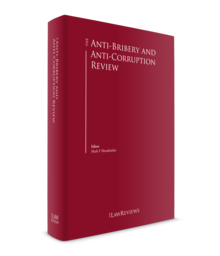 Notably, under French law, there is neither a duty to self-report nor a duty to report specific violations of anti-bribery law. Finally, under French law, external auditors have a duty to report to the public prosecutor not only any dishonest accounts, but also any suspected criminal offence they encounter in the course of their work. Failure to report these is subject to criminal sanctions. Pursuant to Article 324-1 of the French Criminal Code, money laundering is defined as (1) the act of facilitating the false justification of the origin of property or income that derive directly or indirectly from an offence, or (2) the act of assisting in the investment, concealment or conversion of the direct or indirect proceeds of an offence. Since 2013, the Criminal Code has contained a rebuttable presumption that goods or income derived from transactions for which there is no apparent justification constitute the proceeds of an offence.20 To seek the application of this provision, the public prosecutor's office must demonstrate that given its technical, legal or financial circumstances the transaction has no justification other than the concealment of the illicit origin of goods or income. The constitution of the requisite intent to launder money is twofold: knowledge that the goods or income are the proceeds of a crime, and intent to participate in the commission of the offence. Intent is generally inferred from actual participation in the offence with knowledge of the illicit nature of the origin of the goods or income. Money laundering is punished by a prison sentence of up to five years and a fine of up to €375,000 for individuals and €1.875 million for corporations.21 Ancillary penalties, such as confiscation of the proceeds of the crime, confiscation of all property whose legal origin cannot be demonstrated, and disbarment from public procurement, may also be imposed. Prosecutions for money laundering are generally associated with criminal tax evasion cases. Money laundering is rarely used to prosecute bribery-related conduct. Historically, companies have been prosecuted for bribery offences less frequently than natural persons. The OECD is placing considerable pressure on the French authorities to change this trend. On 9 February 2012, the Minister of Justice issued national criminal policy orientations stating that prosecutions for corruption of foreign public officials should be targeting companies whose commercial strategy is based on illegal conduct. The OECD Phase 3 Report on France, dated October 2014, shows that the French prosecutor's office has significantly increased prosecution of companies since 2012. On 14 March 2018, the Court of Cassation upheld the conviction rendered by the Paris Court of Appeal on account of corruption of foreign public officials in the Oil-for-Food case. Not only is this decision the first conviction of companies for corruption of foreign public officials, the Court of Cassation also made important findings regarding the definition of the elements of the offence. The Court of Cassation confirmed that payments made to a state in violation of a UN Security Council resolution amounted to bribery since in the case of corruption of foreign public officials it is not a requirement that the public official benefit personally from the bribe. On 25 October 2017, Teodorin Obiang, the Vice President of Equatorial Guinea, was convicted by the Paris first instance tribunal and sentenced to a three-year suspended prison sentence for money laundering, misuse of public assets, breach of trust, and corruption. This is the first time an acting foreign public official has been convicted in France for corruption committed in the official's own country. On 24 May 2018, the French bank Société Générale concluded a CJIP settlement with the PNF on account of corruption of foreign public officials in Libya. As part of the settlement, Société Générale agreed to pay a €250,150,755 fine and to be subject to monitoring by the AFA for two years. the Council of Europe Civil Law Convention on Corruption. In October 2014, the OECD Working Group on Bribery published the Phase 3 Report on France. While the OECD Working Group recognised that France had made significant reforms, such as the establishment of the PNF, protection of whistle-blowers and an increasing number of sentences for corruption offences, it considered France to be insufficiently compliant with the OECD Anti-Bribery Convention. The Working Group has requested that France persist in prosecuting the offence of foreign bribery. While acknowledging that 24 new cases have been opened since October 2012, the Working Group stated that it remained concerned by the lack of proactivity on the part of the authorities in cases that involve French companies in established facts or allegations regarding foreign bribery. In a report published on 28 September 2017, the Council of Europe Group of States against Corruption (GRECO) concluded that to date France has implemented (or dealt with in a satisfactory manner) a total of 12 of the 17 recommendations contained in the Third Evaluation Round report. The five pending recommendations have been partly implemented. The Sapin II Law on transparency, anti-corruption and modernisation of public life entered into force on 9 December 2016.
the creation of the CJIP (see Section III) – a French version of the US and UK deferred prosecution agreement, a mechanism that allows the prosecutor's office to enter into a deal with individuals and companies. The CJIP allows companies to enter into a deal with the public prosecutor without any admission of guilt when they are suspected of corruption of both domestic and foreign public officials. The deal can result in a fine of up to 30 per cent of an average of the annual turnover of a company over the past three years. The CJIP entails an obligation for the company to implement an internal compliance programme lasting up to three years. The CJIP must be approved by the public prosecutor and the judge during a public hearing, and its content is made public. On 9 August 2017, Parliament definitively voted in favour of the Bill on Confidence in Democratic Life. The Bill includes several measures that aim to enhance the transparency of political life, probity requirements and exemplarity of elected officials, the confidence of voters in their representatives and revamping party financing. prohibition for members of the government, members of Parliament and executive function holders at the local level to hire or appoint a person with whom he or she has a family relationship. The extra-financial performance disclosure statement must now provide an overview of the company's activities, including a reference to its business model, a presentation of the non-financial risks it faces, a description of the policies implemented to limit these risks and the results of these policies. Additional information may be provided when considered relevant by the company. On 27 February 2017, Parliament enacted Law No. 2017-242, which significantly extends the statute of limitations for all criminal matters. The limitation period for offences punishable by a prison sentence of up to 10 years (offences) was increased from three years to six years, and the limitation period for offences punishable by a prison sentence of at least 10 years (crimes) was increased from 10 years to 20 years. The Law also clarifies the rules regarding the calculation of the limitation period. The starting point is the day on which the infringement is committed unless it is 'concealed' or 'hidden'. In such cases, the starting point is the day on which the 'offence has become apparent and has been observed under conditions permitting the opening of an investigation'. However, the limitation period cannot exceed 12 years for offences and 30 years for crimes. The Sapin II Law broadened the protection afforded to whistle-blowers from acts of retaliation by employers. Under this Law, the term 'whistle-blower' is defined as any employee who reports, in good faith, any criminal offences that he or she may discover in the course of the discharge of his or her function. The Law provides protection to whistle-blowers in the event that they are subject to demotions, sanctions, pay cuts, reclassification, professional transfers and hindrances to their professional career development. One of the stated aims of the Sapin II Law is to enhance the protection of whistle-blowers. The Law creates a broad definition of whistle-blowers by extending the protection to any person who reports any criminal conduct, gross regulatory breaches or breaches of law of which he or she has personal knowledge. The proposed definition is therefore not limited to criminal misconduct discovered in the course of the whistle-blowers' discharge of their professional function. Under the Law, whistle-blowers are required to inform their managers, then a public authority and, only as a last resort, public media. Any abusive reports (i.e., reports made in bad faith) will incur civil liability. The Law also provides that the French ombudsman for human rights would be entitled to award the whistle-blower financial damages and help him or her face any procedural costs in the event of litigation. Under French law, the scope of privilege is limited to communications exchanged between external counsel and their clients.25 Privilege does not apply to in-house lawyers because they are not members of the Bar in France. payment of fees, and information required by statutory auditors. Communications covered by attorney–client privilege cannot be seized during a criminal investigation, nor can they be admitted into evidence unless the communication shows that the attorney participated in the commission of an offence. France's 1968 Blocking Statute criminalises the act of seeking to obtain or communicate certain categories of documents or information intended to be used as evidence in foreign judicial or administrative proceedings. The range of types of document falling within the scope of the Blocking Statute is very broad, covering any information or documents of an economic, commercial, industrial, financial or technical nature. Until the entry into force of the compliance provisions of the Sapin II Law on 1 June 2017, compliance programmes were uncommon in France, consisting mainly in guides published by the main employers' union, AFEP-MEDEF, and dealing with corporate governance and corporate responsibility (internal corporate balance of power, environment, workers and minorities' rights). Compliance was neither a defence nor a mitigating circumstance under criminal and administrative statutes. A clear distinction was made between regulated sectors (e.g., banking, financial products and insurance), which were subject to specific rules by relevant administrative authorities under penalty of financial sanctions, and unregulated sectors, which were not subject to any preemptive control but only to administrative and criminal sanctions whenever a violation of criminal law occurred. Under the Sapin II Law (see Section VIII), companies headquartered in France with over 500 employees (consolidated), and whose turnover (consolidated) is above €100 million, must implement measures aimed at detecting and preventing corruption. The measures required as part of the company compliance programme include a code of conduct, risk mapping, a whistle-blowing mechanism, a third-party due diligence procedure, relevant accounting controls specific to risks of corruption, and disciplinary sanctions for employees who fail to comply with these measures. Failure to implement a sufficient and effective compliance programme can incur administrative fines of up to €1 million for corporations and up to €200,000 for individuals. Under the Sapin II Law, the AFA was empowered to supervise the implementation of company compliance programmes and was given broad investigative powers: it can request any documents it deems relevant from public entities and companies, and conduct on-site audits. The AFA also has the power to impose administrative fines on non-compliant companies. On 17 October 2017, the AFA sent audit notifications to five large companies. These audits are still ongoing. To date, no fines have been imposed by the AFA. The recent laws and prosecutions show that corruption continues to be of topical interest and is a highly important issue. The Sapin II Law has had a significant impact on the anti-corruption enforcement landscape in France, forcing companies to implement strict anti-corruption compliance measures in all business areas. 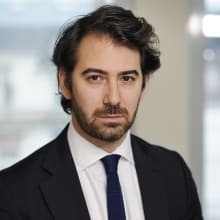 1 Antonin Lévy is a partner and Ophélia Claude is a senior associate at Hogan Lovells (Paris) LLP. 2 Article 432-11 and Article 433-1 of the French Criminal Code. 3 Article 433-1 of the French Criminal Code. 4 Article 434-9 of the French Criminal Code. 5 Crim., 2 December 2009, No. 08-88043. 6 Article 25 bis, Law No. 2016-483 dated 20 April 2016 on the ethics, rights and obligations of civil servants. 7 Article 25 septies-I, Law No. 2016-483 dated 20 April 2016 on the ethics, rights and obligations of civil servants. 8 Article 445-1 of the French Criminal Code. 9 Ancillary penalties applicable to legal entities are (1) dissolution, where the legal entity was created to commit a first-level crime (punishable by more than 10 years' imprisonment for individuals) or, where it was diverted from its commercial purposes to commit a crime, a sentence of imprisonment of three years or more; (2) prohibition from exercising, directly or indirectly, one or more social or professional activities, either permanently or for a maximum of five years; (3) placement under judicial supervision for a maximum of five years; (4) permanent closure, or closure for up to five years, of one or more of the company establishments used to commit the offences concerned; (5) disbarment from public procurements, either permanently or for a maximum of five years; (6) prohibition from making a public appeal for funds, either permanently or for a maximum of five years; (7) prohibition from drawing cheques (except those allowing the withdrawal of funds by the drawer from the drawee, or certified cheques) and prohibition from using payment cards, for a maximum of five years; (8) confiscation of property used or intended for the commission of the offence, or of resulting property, or of all property whose legal origin cannot be demonstrated whenever the offence is punishable by a prison sentence of at least five years, which is the case for corruption; and (9) the posting of a public notice of the decision, or dissemination of the decision in the media. 10 Parliamentary Information report No. 4457 written by Sandrine Mazetier and Jean Luc Warsmann. 11 Convention judiciaire d'intérêt public. 12 The Law authorising the ratification of the OECD Anti-Bribery Convention was passed on 27 May 1999. 13 Law No. 2000-595 dated 30 June 2000 amending the Criminal Code and the Code of Criminal Procedure and relating to corruption, as amended by Law No. 2007-1598 dated 13 November 2007 relating to the fight against corruption. 14 TGI Paris, 11ème Chambre/1, 30 January 2013, No. 0229192509 ; TGI Paris, 11ème chambre/1, 24 June 2014, No. 02291092509. 16 Council of State, 4 February 2015, No. 364708. 17 Articles 241-3 and 242-6 Section 2 of the French Code of Commerce. 18 Article 465-3-2 of the French Financial and Monetary Code. 19 Crim., 9 December 2015, No. 15-83.204. 20 Article 324-1-1 of the French Criminal Code. 21 Article 324-1 of the French Criminal Code. The offence is punishable by a prison sentence of up to 10 years and a fine of up to €750,000 for individuals and €1,875,000 for corporations when (1) money laundering was committed by a professional during the course of his or her professional activities; or (2) money laundering was committed as part of an organised group. The fine may be increased to half of the value of the assets that were laundered. Moreover, if the maximum imprisonment of the predicate offence exceeds the above-mentioned sentence, this maximum applies to the money laundering offence. Ancillary penalties, such as confiscation of the proceeds of the crime, confiscation of all property whose legal origin cannot be demonstrated, and disbarment from public procurement, may also be imposed. 22 Decree No. 2017-329 of 14 March 2017 relating to the AFA. 23 Decision No. 2017-752 DC 8 September 2017. 24 Article L225-102-1 of the French Commercial Code. 25 Article 66-5 of Law 71-1130. 26 Crim., 12 December 2007, No. 07-83228.